There is a feeling of elation when a new online marketer gets the first new subscriber notice or that first click. One visitor is a start, but surviving in the cutthroat world of online marketing requires much, much more. Rest easy. Generating traffic to your site can be accomplished in many ways and for little to no money. The power of Facebook for generating free traffic is unlimited. How you use it, however, may present limitations. As a Facebook presence, you cannot simply post links and expect the floodgates of traffic to burst open. The best way to generate traffic and promote your site is by making connections with people and building a reliable reputation. If they find your status updates enlightening, humorous, or helpful, they may sign up for your newsletter or visit your site. This traffic is already pre-sold on your ideas and are likely to share their great finds with their own Facebook friends. This class of visitors will prove very beneficial over time. Similar to Facebook, Twitter is also a very popular social media tool. Twitter is used by many businesses to stay connected with their customer base. You can easily tap into some Twitter traffic by engaging like-minded individuals with your “tweets.” Twitter is a great place to introduce your product or service to the world. Social bookmarking sites are also free traffic resources. A simplified breakdown of the vast world of social bookmarking involves a user submitting and tagging a link. The link is then visible to other users searching for information on a topic or who have “followed” the original user. You can leave your link on numerous social bookmarking sites, Each one will serve as a backlink to your site. Each backlink boosts your search engine ranking slightly. It requires significantly less effort than submitting articles, posting in boards, and participating in forum discussions. To begin with social bookmarking, search online for bookmarking resources. Increasing site traffic through article marketing is also a possibility. The article you submit to an article site, such as HubPages, will have a link to the location of your choice listed in the author box. By writing a quality article that is not a masked sales presentation, you will get noticed by those interested in the topic about which you write. An exceptionally good article might even attract backlinks from other people’s sites. It may also be posted on a social media site, or people might link their sites directly to your site, thus furthering the effects of your article. Another way to make connections and encourage visitors to your site is by being active on related blogs. Commenting on blogs creates enough interest from the blog owner that they will generally check out your site. Others participating in the blog comment feed might also follow your link if, and only if, your comment adds something to the conversation. Discussion boards or forums are a great way to connect within your niche. If you add credible information to the conversations, you will eventually be invited to post your link. By proving yourself as an authority, you will entice people to visit your site. Of course, if every time you write something you tell people to buy your product or visit your site, the last thing they will do is buy your product or visit your site. You have to keep it real. There is no such thing as a simple and immediate method to increase your traffic. Over time, social media, article marketing, and forums will help obtain organic traffic. In other words, you will establish a legitimate reputation and form relationships with real people. They may then become loyal followers of your site. 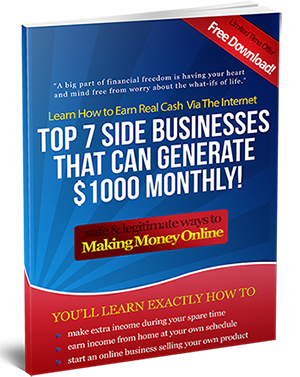 You will be rewarded for the time and effort you put into building up your traffic.